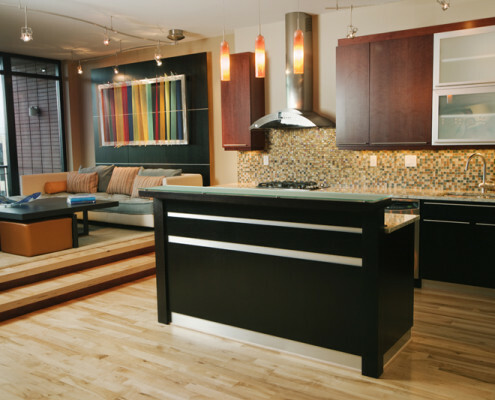 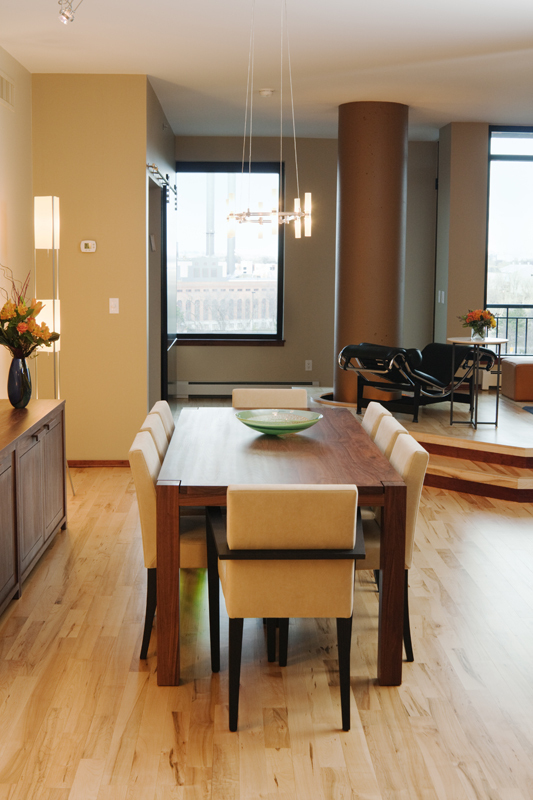 This newly constructed downtown Minneapolis condo is near Gold Medal Park, with beautiful views of the Mississippi River. 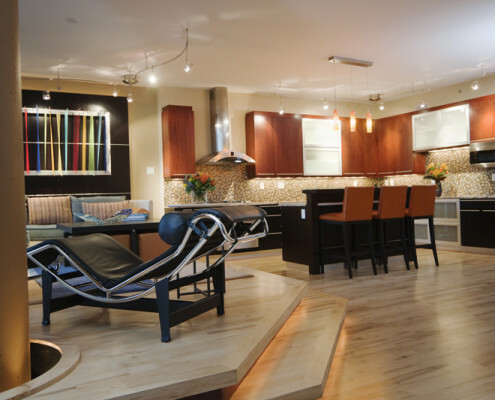 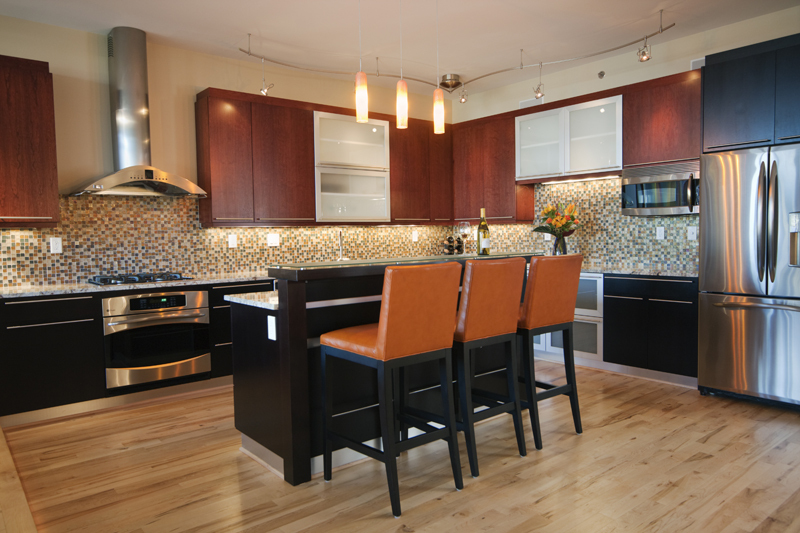 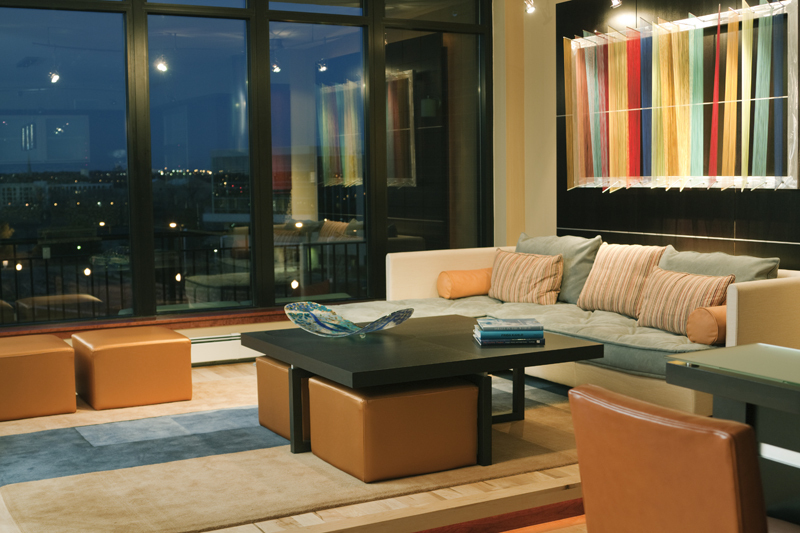 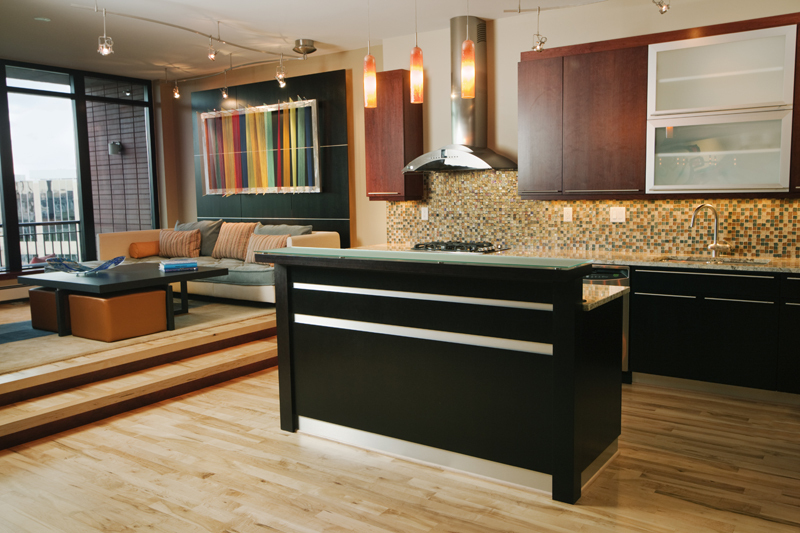 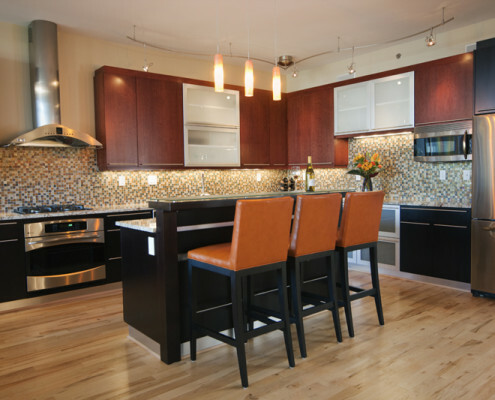 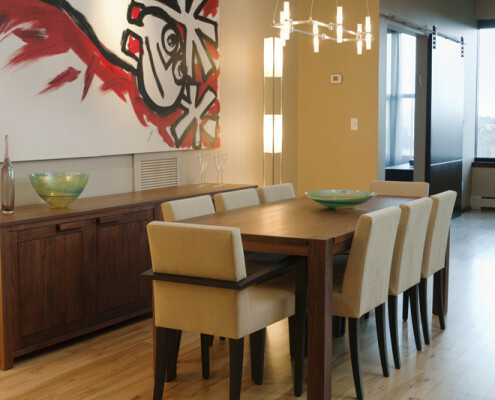 We worked with the owner to select and install finishes and furnishing for the entire space. 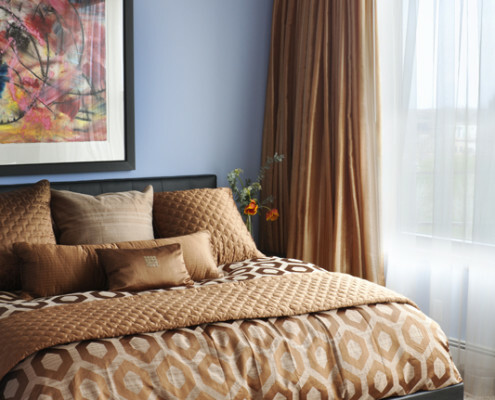 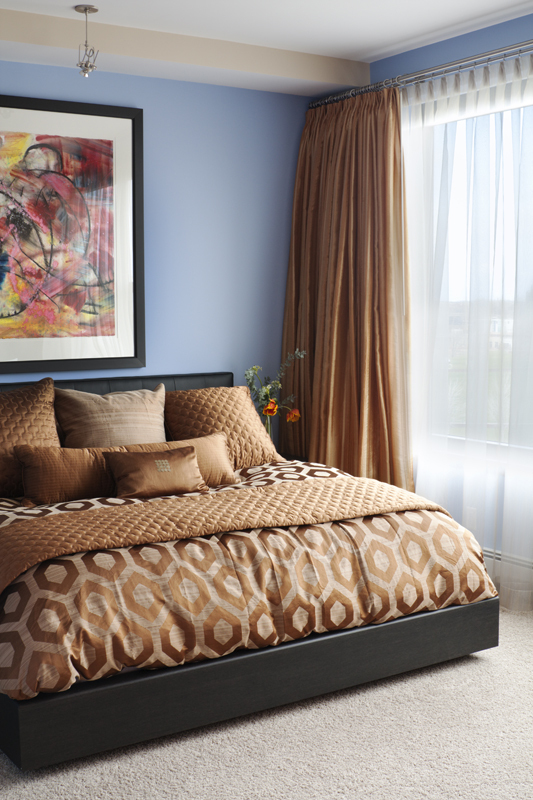 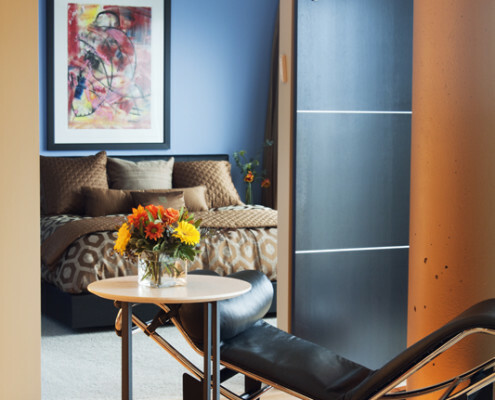 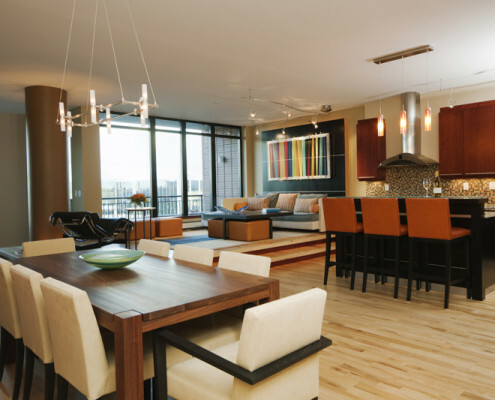 Structure defines each space, breaking it into smaller areas that feel comfortable and cozy. 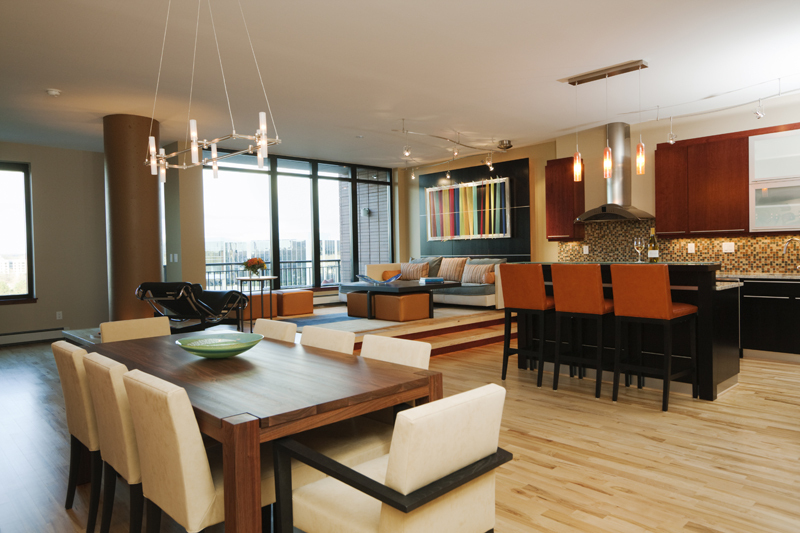 Originally designed as a large, open area for dining, living and kitchen, we kept the open concept but defined each area visually. 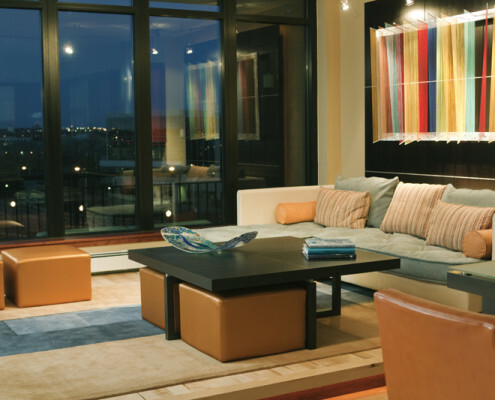 We created a stepped platform for the living room that enveloped an existing column, and made the living room the focal point while accentuating the fantastic river views. 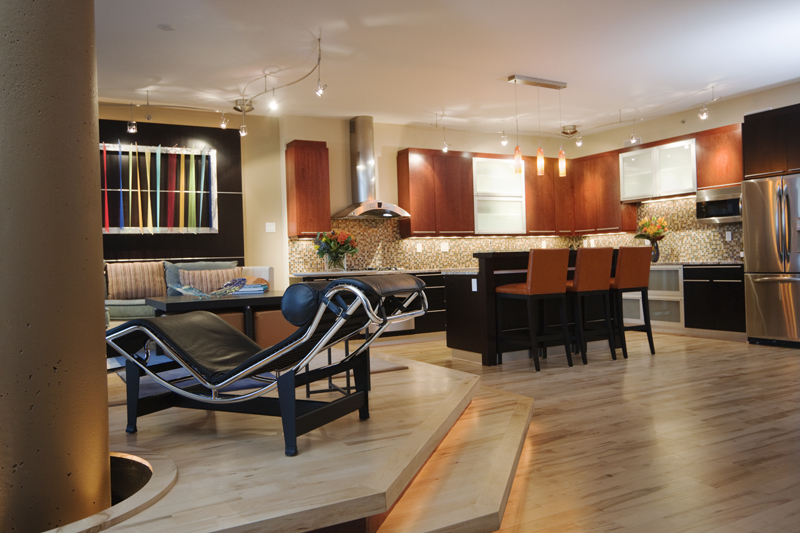 We used step lighting for accents and hardwood flooring throughout to unify the space. 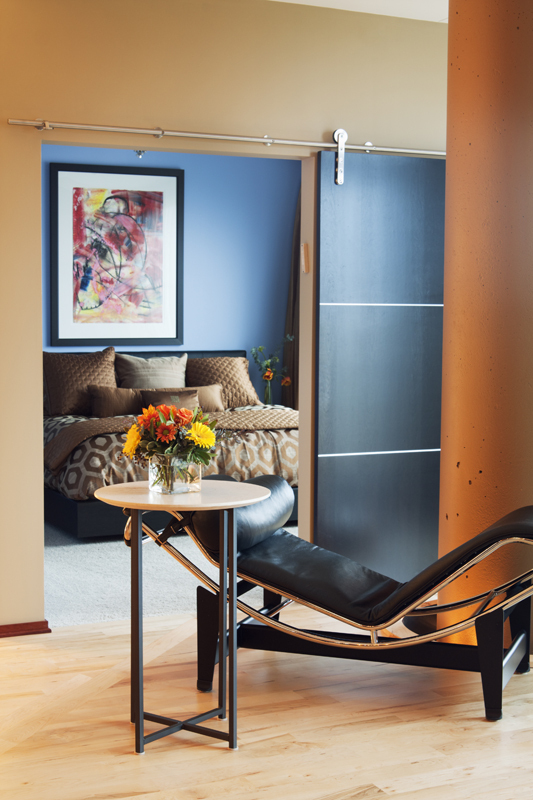 The inventive use of barn doors cover a large passage opening for privacy, yet keeps the space open when not in use. 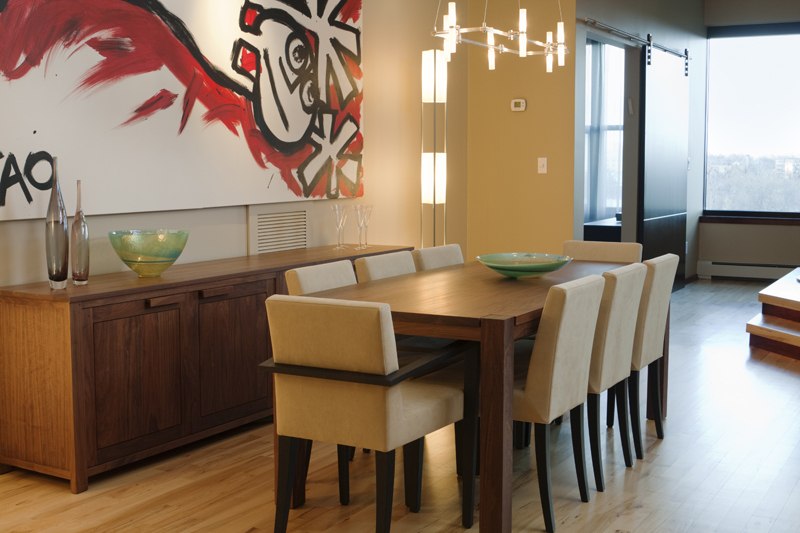 The modern aesthetic with clean lines is warmed with custom wood and fabric selections throughout. 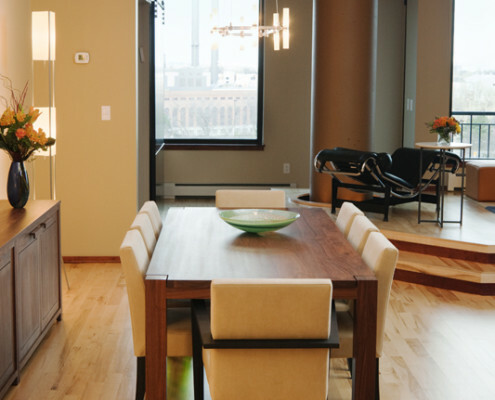 Custom modular furnishings combine with classics like the LeCorbusier LC4 Chaise. 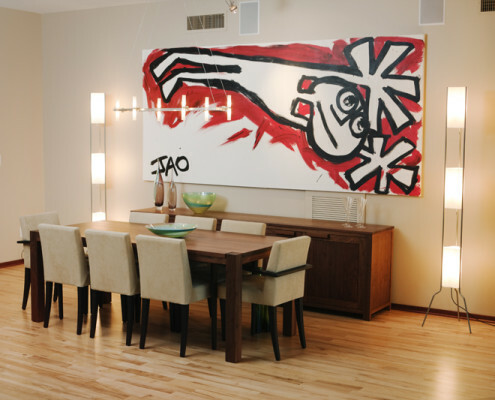 Hand-picked modern light fixtures mix with wall art commissioned specifically for the owner. 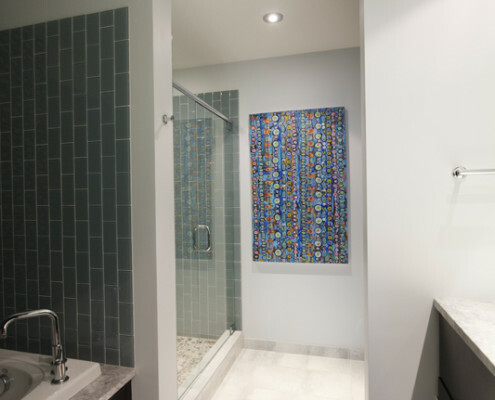 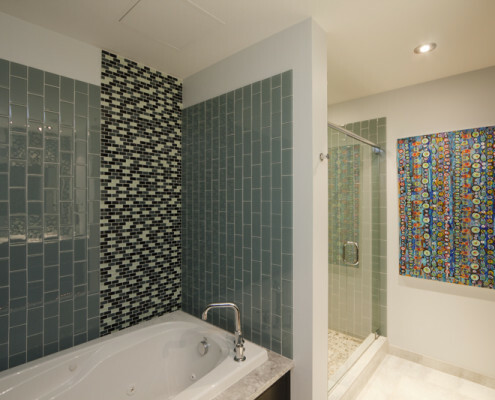 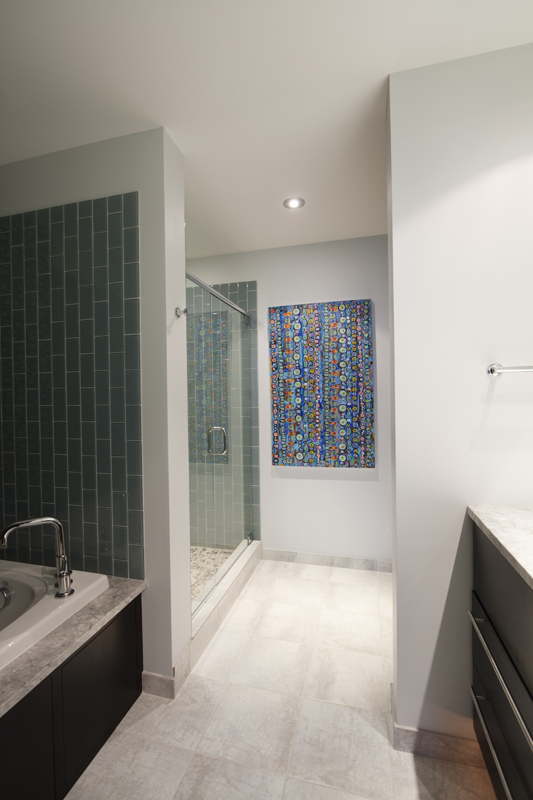 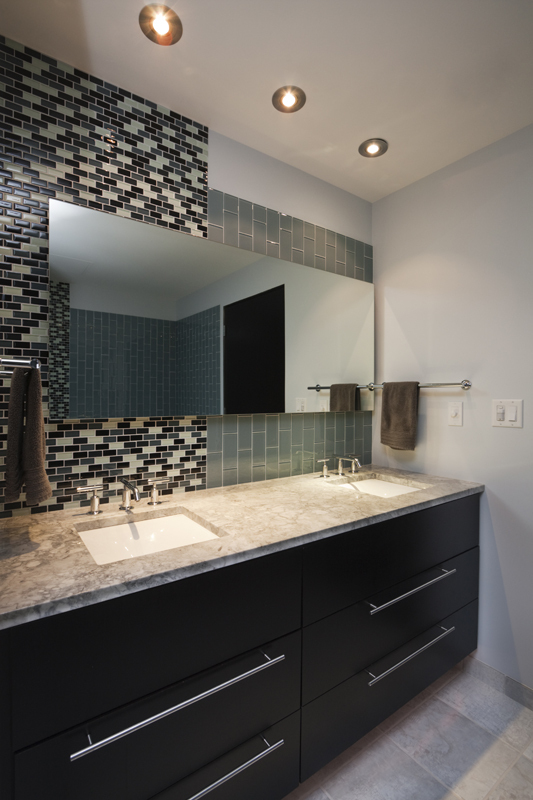 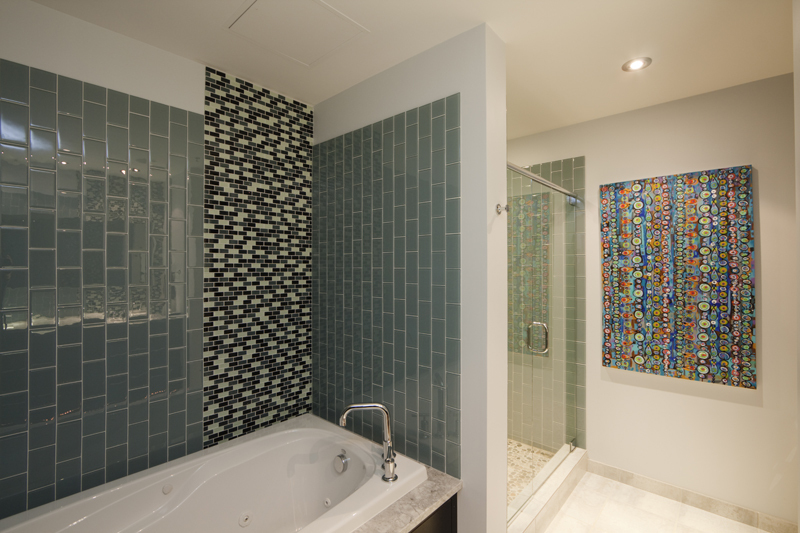 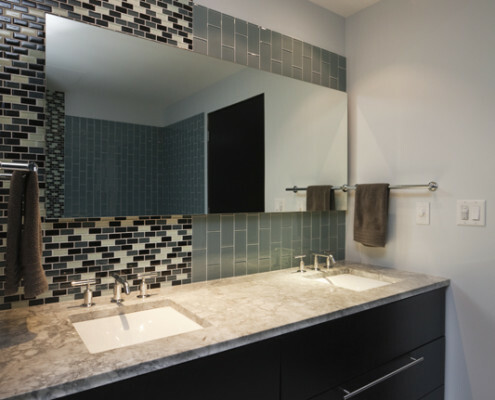 In the bathrooms, glass tile was used in creative patterns to create a modern design, complementing the frameless shower doors, floating cabinetry and vessel sinks.